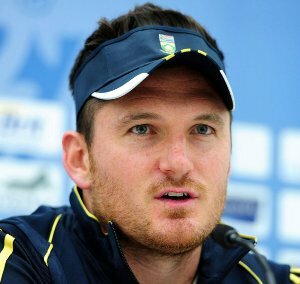 Johannesburg, June 01 - Former South Africa captain Graeme Smith, who seemingly sent a farewell message earlier this week, has reportedly revealed that he has no immediate plans to retire despite suffering another serious injury. Smith, who is set for surgery in Cape Town after fracturing his knee playing for English county cricket side Surrey, said that he hopes to continue his career. According to Sport24, Smith said that he has unfortunately gone to play for county cricket two years in a row and picked up two pretty serious injuries, which shortened his time at the club. Smith, who announced his retirement from international cricket in March after playing 117 Test out of which he captained 109, said that it has been disappointing for him, adding that the club wants him back and if he can get back this season it would be good. However, Smith said that for him, it is just about getting the knee done and go through the recovery process, and hopefully in that period, he can decide what the right way forward is for him at the current stage in his career.